Okay, let’s face it. Ice Cream we love it, but wouldn’t it be amazing if we could make it healthy without compromising on texture, taste or flavor. It’s a question we asked ourselves constantly. In fact, we asked it so often we finally decided to do something about it and start LA’s first completely plant-based ice cream store (Frozen Fruit Co). However, absence any fancy ice cream machine or equipment how can you make a healthy ice cream which is also plant based and vegan in your own home. Well, have no fear we are here for you. We have spent a lot of time (and we mean a lot of time) working out how to make plant-based ice cream. So, we thought we would share the love. 1. Simply, grab your frozen bananas and pour them into a food processor or blender. 2. Add your strawberries. Cut them up to help with the blending process. 3. Put your food processor or blender to the max setting and blend like a crazy person. You see instead of freezing with an ice cream machine you are making the Frozen Bananas do all the hard work. 4. Blend until thick and creamy and fully incorporated. The frozen bananas should have given you a smooth creamy nice cream. Eat straight away or to freeze and store simply pour into a freezer proof container and layer with a sheet of grease proof paper on top (this helps prevent freezer burn). While it may get slightly icier in the freezer you would have done most of the hard work with the freezing process by using the frozen bananas. There you go. 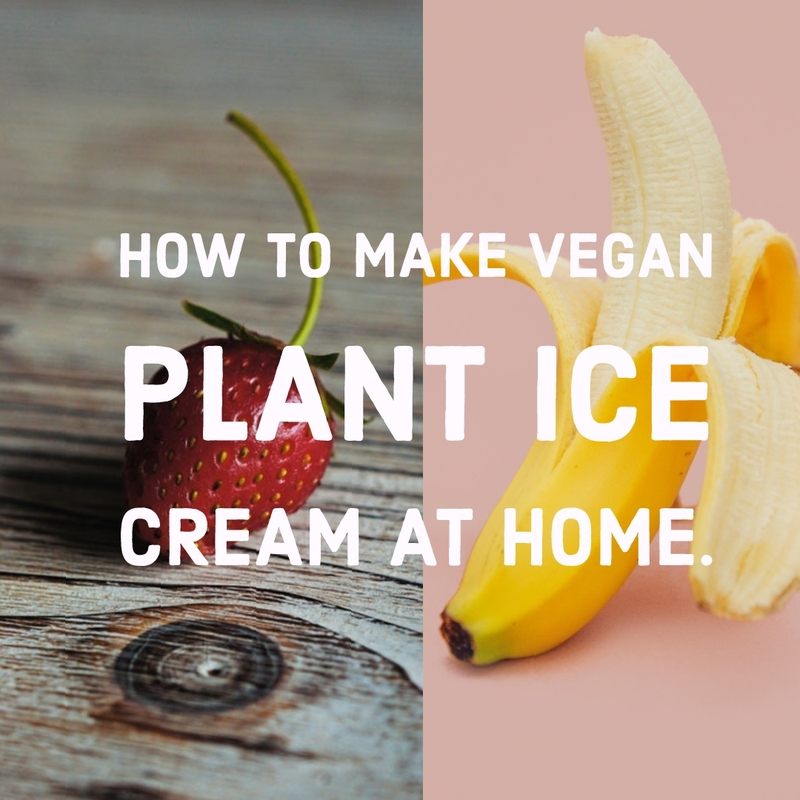 Low in calories, simple, delicious and completely plant-based ice cream you can eat any time of day and most importantly make yourself at home. Delicious, this is the yummy combination with strawberries. I have tried once for banana but never tried with any other fruit. I think we could serve this with kiwi, apple and some sprinkle, also with choco chip. I can’t control my craving, am going to try this.